The actress wore 10 different outfits when she hosted the show for the second year in a row. 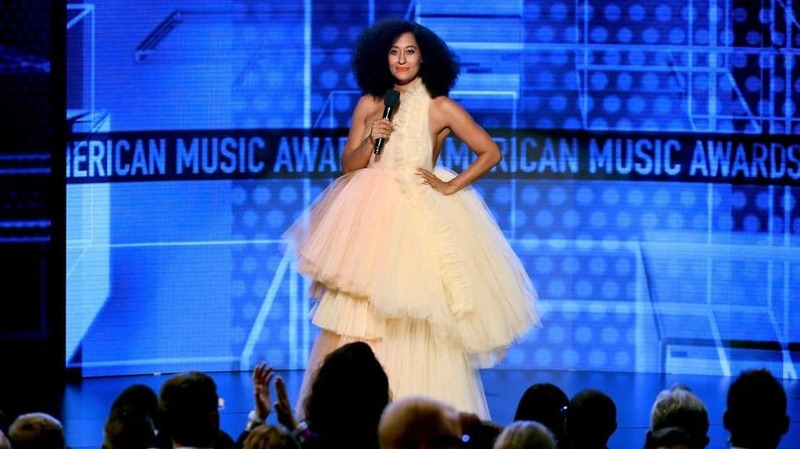 Tracee Ellis Ross hosted the American Music Awards for the second year in a row and the actress used her platform to highlight the work of Black designers. The black-ish star made a conscious decision to choose outfits created by Black designers and pulled off ten wardrobe changes during the live show. “I’ve featured black designers in all of my @AMAs press looks, and will do the same for all my show looks tonight!,” she posted on Twitter ahead of the big event on Tuesday night. 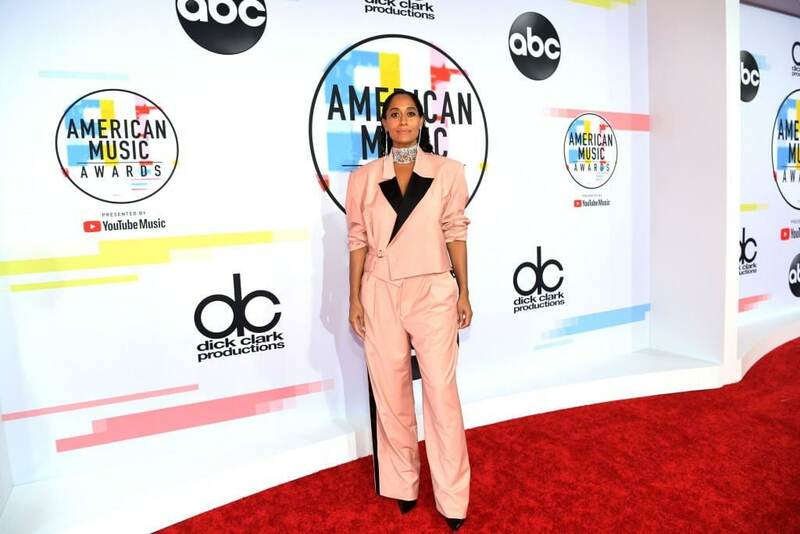 She and her stylist, Karla Welch, selected several gorgeous outfits by Black designers and we’ve got the scoop on all of her looks. The 45-year-old actress strutted down the red carpet in a light pink and black suit by Pyer Moss and paired it with red bottoms.